Metropolitan Bank & Trust Company (Metrobank) is a universal bank providing a full range of banking services to large local and multinational corporations, middle market, high net worth individuals, and retail segments. Metrobank has a consolidated network of over 700 domestic branches and 35 foreign branches, subsidiaries, and representative offices; 58 remittance tie-ups, and more than a thousand correspondent banks, with an international presence spanning 21 countries. 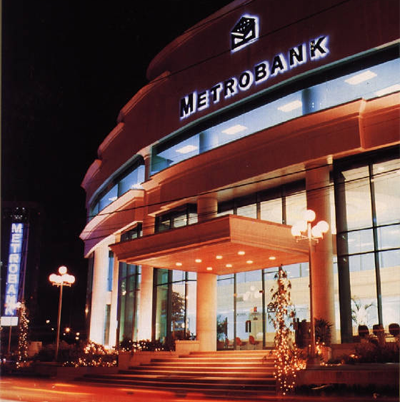 It has a consolidated network of over 1,000 ATMs throughout the Philippines.Metrobank needed a Time Attendance system that is able to accurately record and manage employees over its many branches in the Philippines. Multiple ACTAtek Fingerprint and Smart Card units were deployed for each branch.